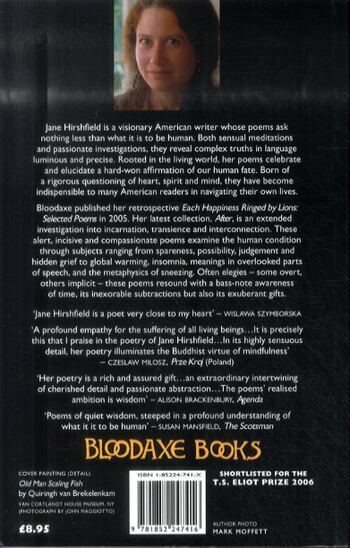 Jane Hirshfield is a visionary American writer whose poems ask nothing less than what it is to be human. Both sensual meditations and passionate investigations, they reveal complex truths in language luminous and precise. Rooted in the living world, her poems celebrate and elucidate a hard-won affirmation of our human fate. Born of a rigorous questioning of heart, spirit and mind, they have become indispensable to many American readers in navigating their own lives. 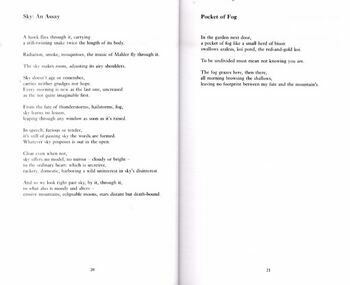 Bloodaxe published her retrospective "Each Happiness Ringed by Lions: Selected Poems" in 2004. Her latest collection, "After", is an extended investigation into incarnation, transience and interconnection. 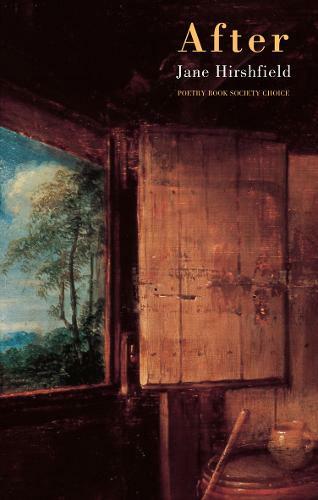 These alert, incisive and compassionate poems examine the human condition through subjects ranging from spareness, possibility, judgement and hidden grief to global warming, insomnia, meanings in overlooked parts of speech, and the metaphysics of sneezing. 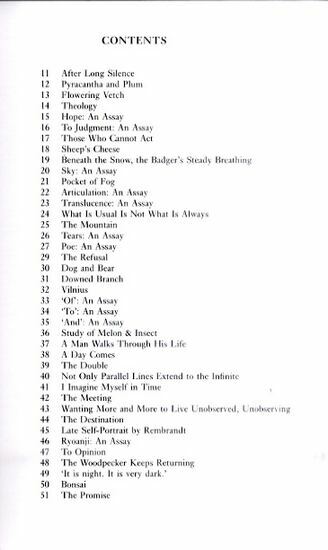 Often elegies - some overt, others implicit - these poems resound with a bass-note awareness of time, its inexorable subtractions but also its exuberant gifts.